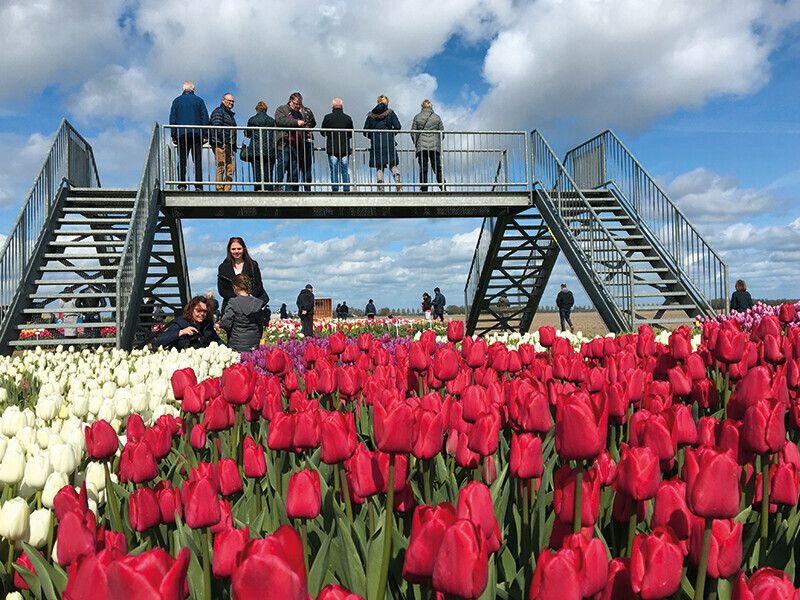 When the tulips are in flower, viewed from above Noordoostpolder displays its colours on one large palette. 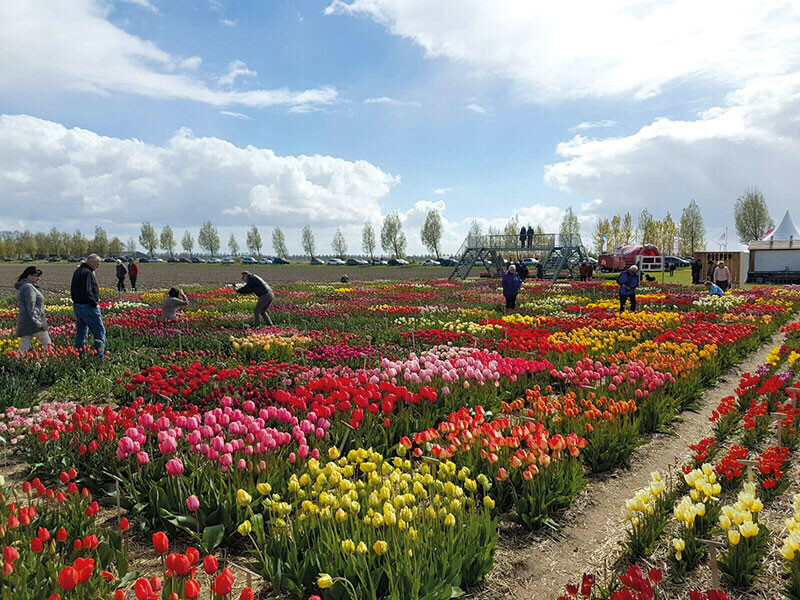 Swaths of blooming tulips, fresh green fields and orchards intermingle. Utterly breathtaking to cycle or walk through, or drive past in your car. As with every other year, a nice route has been laid out for your pleasure. 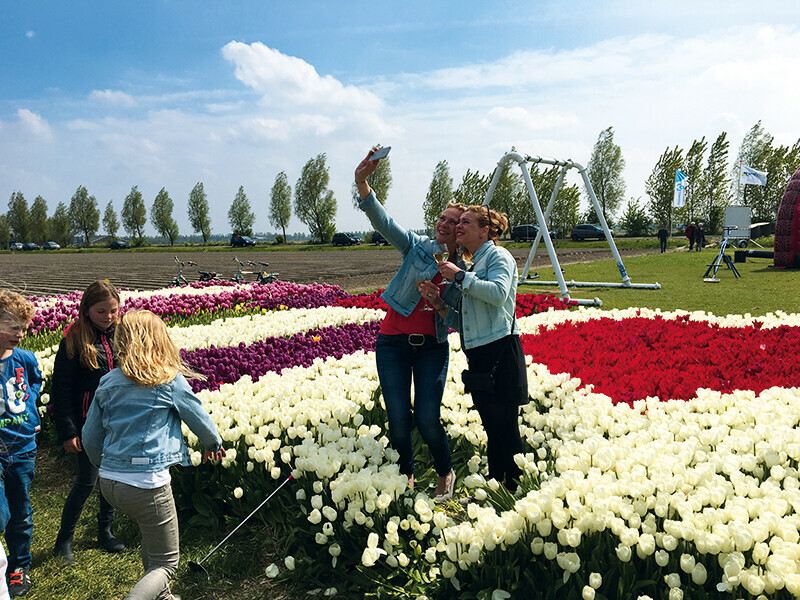 Remember to follow the Tulip Festival signs, as the routes do alter annually to take account of the tulips blooming in different places every year.